When writer-director Sam Mendes was casting the net in search of an actor to play Hinx, the Oscar-winning filmmaker eyed a formidable, muscular presence that could give Daniel Craig’s 00 agent a run for his money, and arguably found the perfect fit for the role in Guardians of the Galaxy‘s Dave Bautista. 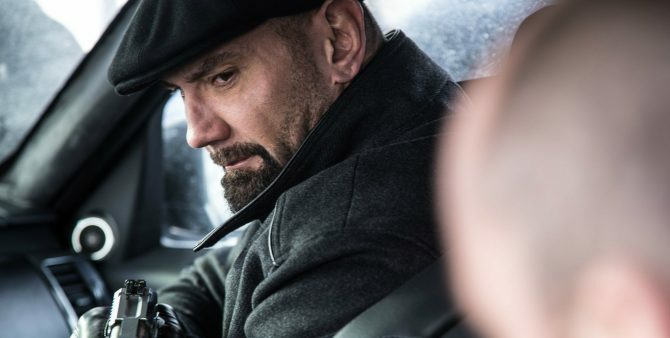 And though he wasn’t necessarily the chief antagonist of Spectre – that title belonged to Christoph Waltz’s megalomaniac, Ernst Stavro Blofeld – the former wrestler and MMA brawler certainly left an impression on James Bond fans the world over, and it seems Dave Bautista is quietly holding out hope that he’ll get the chance to play the henchman again in the not-so-distant future. Chatting to Metro in anticipation of Guardians of the Galaxy Vol. 2, the actor confirmed that there have been talks about a potential return but, like the entire James Bond franchise itself, those negotiations remain up in the air for now. As we reported last week, MGM and Eon, the two companies currently in control of the film rights, are mulling over the future of this most beloved franchise. Following a four-picture deal with Sony that ended with the release of Spectre, MGM and Eon are now soliciting pitches for Bond 25 from five parties: Warner Bros., Universal, 20th Century Fox, Annapurna, and Sony, with the top prize being a one-picture hold over the license to kill. Those negotiations are ongoing, but we’ll notify you if and when the situation changes. On the topic of Hinx, though, do you believe the burly henchman still has a future in the James Bond franchise? Marvel fans, meanwhile, can look forward to Bautista reprising as Drax the Destroyer in Guardians of the Galaxy Vol. 2. It’ll open Stateside on May 5th.